For many young people, ages 5 – 18, the summer swim league program provides a developmental opportunity for them to ‘get their feet wet’. Most team members make significant improvements in proper swim technique during the course of the summer. 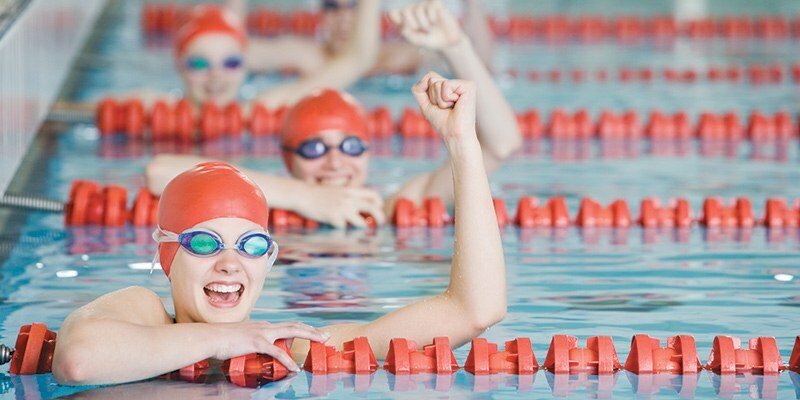 The goal of the YMCA of Greater Montgomery Summer Swim League is to provide a fun, positive, swim team experience that will help each participant to set goals, build self-esteem, and improve social skills, while learning teamwork, good sportsmanship, and aquatic safety. YMCA Recreational Summer Swim League participants must be able to swim 25 yards unassisted to be on the team. Practices vary by location. Practice schedules vary by branch. Meets will be held on Friday evenings and Saturday mornings. Each team will compete in at least 4 meets, plus the City Meet at the end of July. For more information, contact your local YMCA.